Join us next Wednesday, October 17th at The Habit in Whittwood Town Center from 4-9pm. 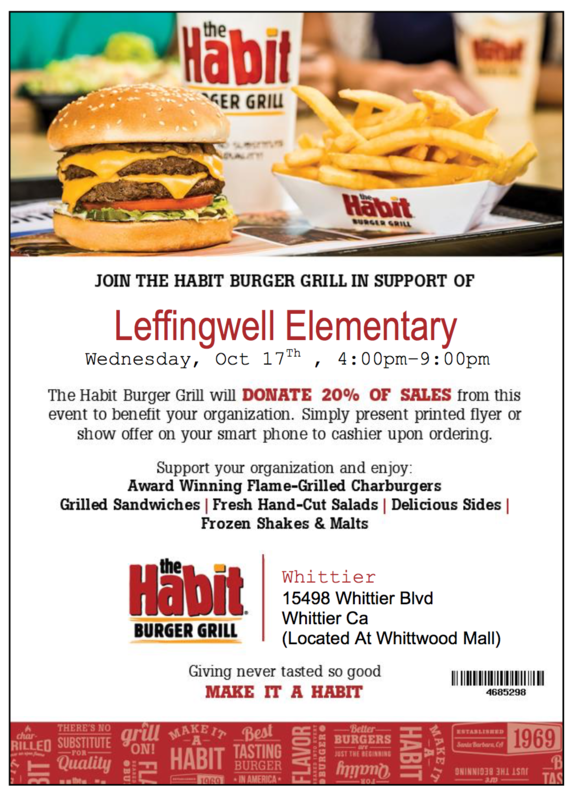 Remember to bring your flyer and let the cashier know you are from Leffingwell so that 20% of your purchase is donated back to our school. Bring your whole family and join us for fun and good food!